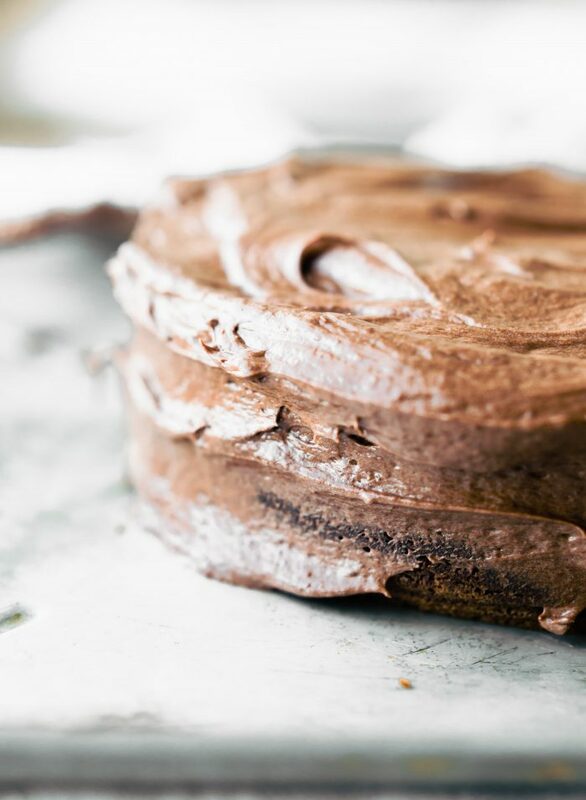 Vegan frosting has never been so easy to make! 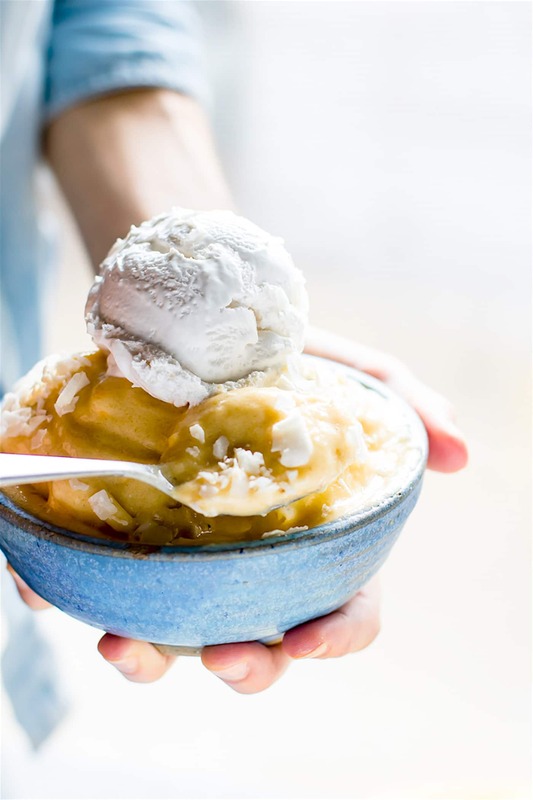 We’ll show you how to make coconut cream – it takes 2 ingredients and just one method. This coconut cream frosting is super delicious, healthy, paleo friendly, and did I mention EASY?! Yes! SIMPLE to make! Okay Ya’ll. If there is one staple you need in your life, it’s coconut. Coconut milk, cream, flour, flakes, and more! Today I have an amazing Coconut Cream Vegan Frosting recipe that will make you jump for ALLERGY FRIENDLY joy! I mean, who wouldn’t? Haha. 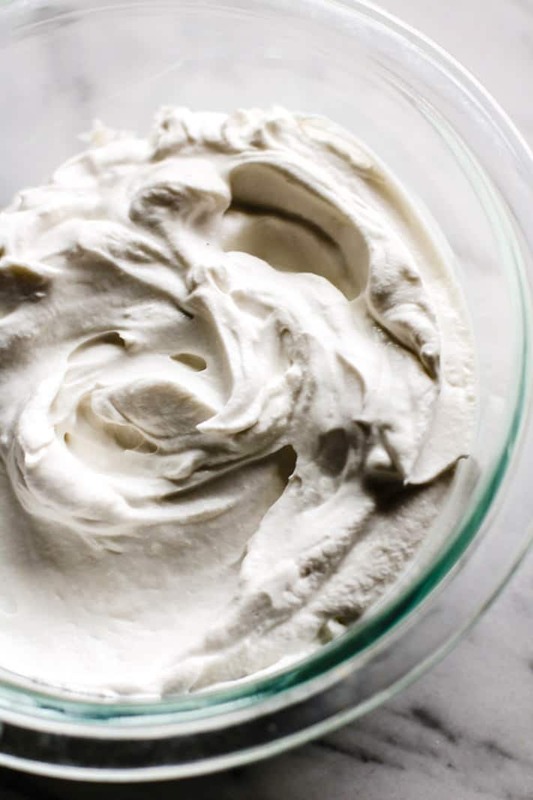 I use this vegan frosting on almost ALL of my cake and dessert recipes. Why? Because it takes like 2 milliseconds to make, it’s gluten free, paleo friendly, and might I add, it tastes AMAZING! 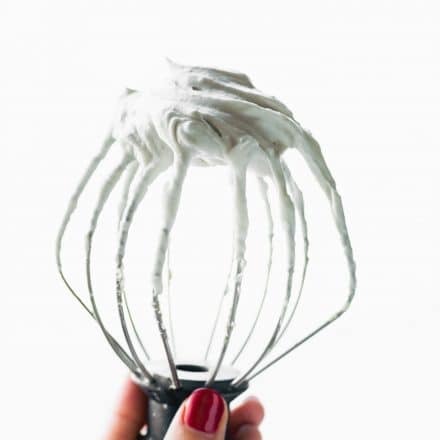 I’m sure you’ve seen this coconut cream vegan frosting recipe around the interwebs. I mean, how could you not? It’s so trendy and healthy and we all love that. But I like it because it’s cheap, easy, and healthy. Those don’t sound like they go together but they do! Real food can be so versatile. 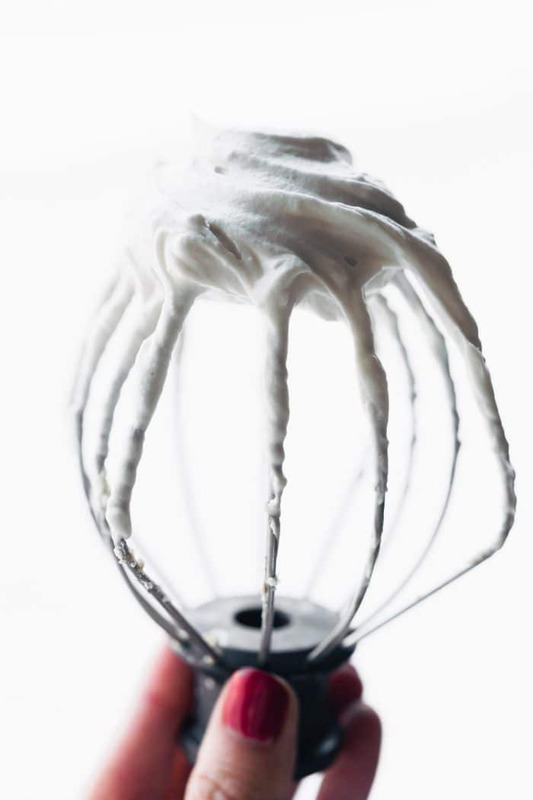 You ready to make FLUFFY coconut cream vegan frosting goodness? Oh yay! Grab a can of coconut cream –> Not milk, cream. Place it in the back of your fridge for the night. It needs to get COLD but not frozen. Remove from fridge, open the can, drain the extra water, and flip the cold solid cream into a bowl. Then WHIP IT, WHIP IT GOOD! Or if you’re like me, you can make fun flavors. Like vanilla, or cocoa powder, or coconut, or lime zest! You see what I’m saying here? Fluffy Coconut Cream Vegan Frosting does wonders. Keep this recipe. Save it. Use it. Repeat. I promise you won’t be disappointed. And if you are, you can throw that can of coconut cream at me. Deal? 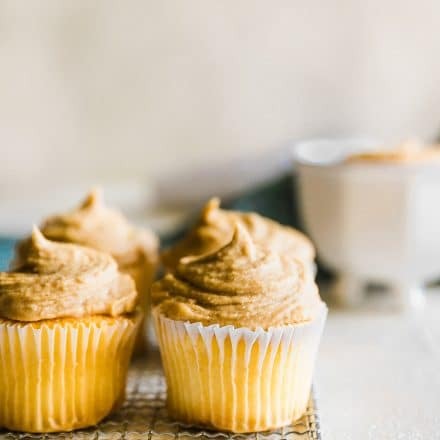 Coconut Cream Vegan Frosting – Learn how to make coconut cream quickly and easily to use in this vegan frosting. It’s absolutely delicious, gluten-free, vegan, and paleo-friendly! 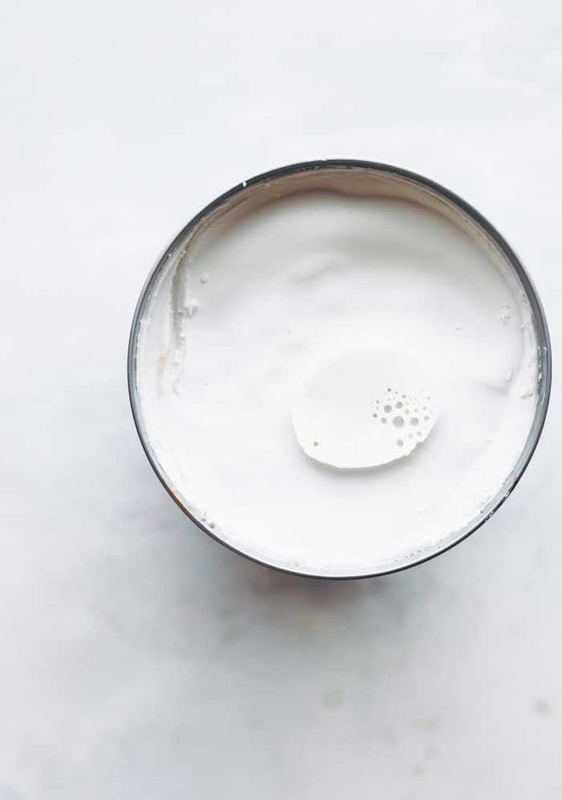 13–14 oz coconut cream (cream NOT milk works best). Buy at least 3 cans in case one doesn’t chill properly. 1/4 cup sweetener of choice (ex: maple syrup or cocoa for chocolate). See notes for other sweeteners. Make sure your coconut cream can (10oz) is chilled 24 hrs and you have coconut cream not milk. I always buy 2 cans or more of coconut milk/cream in case one can doesn’t form enough cream after chilling in fridge. Once chilled pour the hardened cream mixture into a bowl. Discard the water portion. Add your sugar and vanilla beat until fluffy and smooth. Mix in your other toppings last. Keep cool until ready to top on your cake/dessert. Super easy! 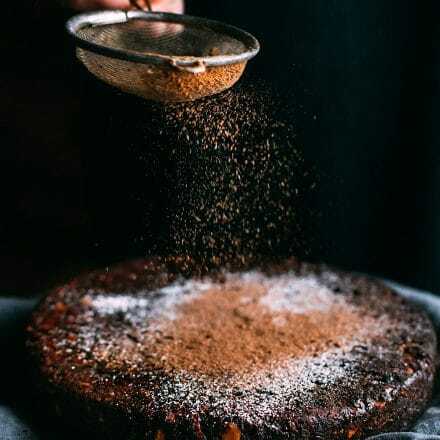 For sweeteners, you may use maple syrup, honey, coconut sugar, or even powdered sugar if you are not paleo. Swerve has sugar free powdered sugar as well if you’d like to keep this keto or low carb/sugar free. All on that cake! and maybe by the spoonful. okay Always by the spoonful. If you are looking for coconut cream to buy online, I use this one from Amazon. 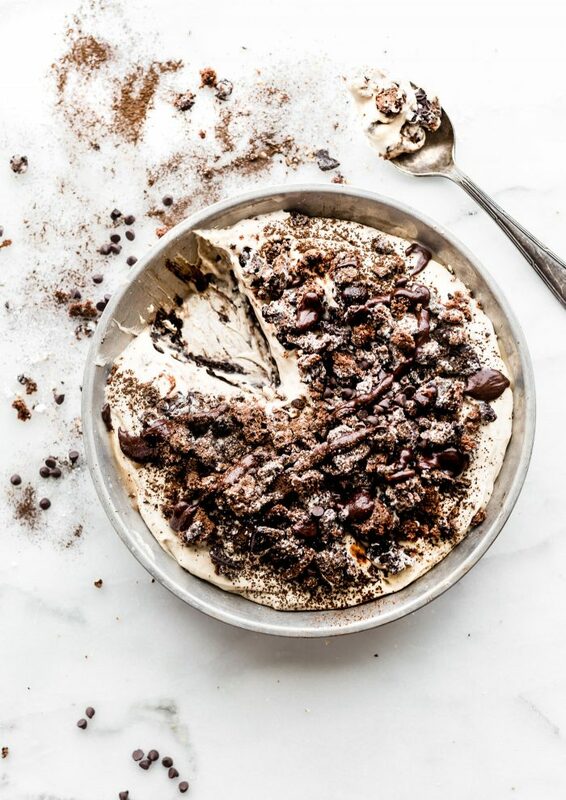 Or even make it for a No Bake Dirt Pie! Vegan of course! With Coconut Cream whipped as the pudding/frosting filling. 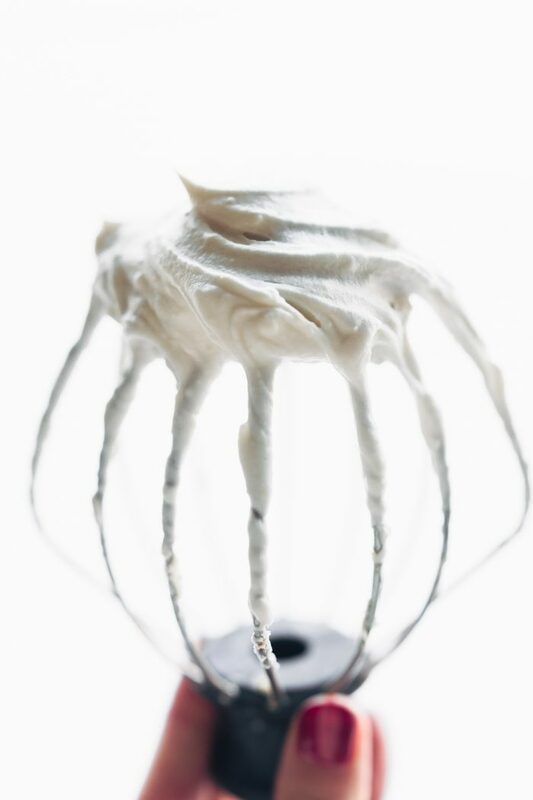 Have you ever tried making Coconut Cream Vegan Frosting? What’s your favorite way to use it? Hi there. 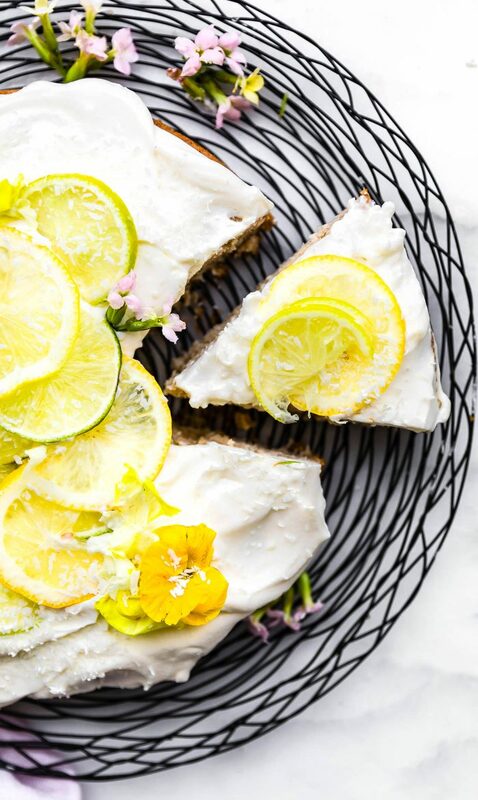 Are you going to be keeping the cake refrigerated most of the time before serving? I think it holds up nice on all things but be sure to keep it cool or below room temp as long as possible. Will hold at room temp for a few hours though. the coconut milk doesnt’ whip. It’s not the same fat ratio. 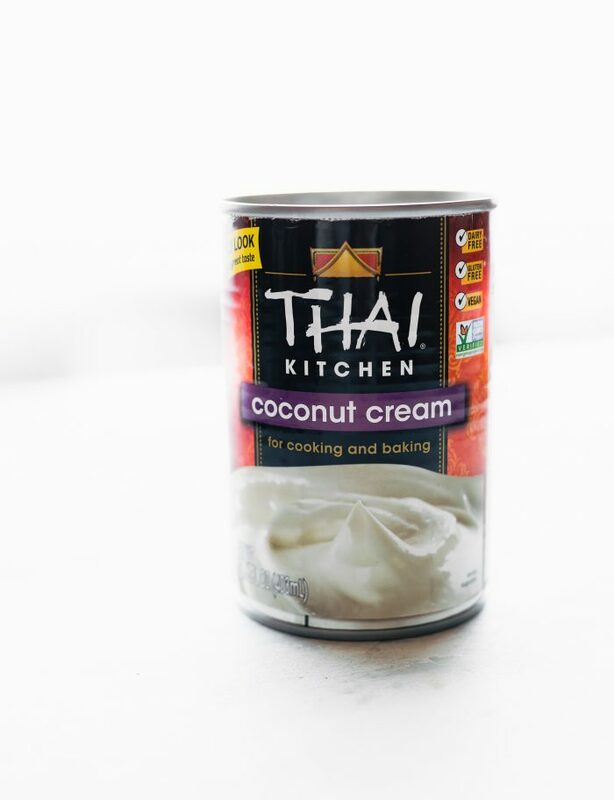 You can find coconut cream in the Asian section in your market or online. Does that help? Let me know know if you want the link the coconut cream can I use. Keep me posted! I have to make this the next time I want to frost something. I love the flavor of coconut and I have seen it done but never have tried making it nor tasted it! It’s so easy! let me know if you try it! The times I have tried doing this, the coconut cream splits. Any tips to stop this? are you using coconut milk or cream? what brand? sometimes I will buy 2 cans and stick them in the back of the fridge for 24 to 36 hours. Combine the two for more cream. If that makes sense. And sometimes it’s just a bad can. Let me know what you are using. happy to help! How long does it hold up in the fridge? It’s kept pretty well overnight. I just whipped it again the next day. Or are you talking about for longer? Should be good! How much longer can it last? Say on top of a cake that is kept in the fridge? Are there ways to store it for at least 4-5 days? It should last a few days in the fridge no prob! What kind of cake? Hi Annie! So happy to connect. Are you looking for have the coconut cream on a cake? Or by itself. It should be okay at room temp for about an hour or maybe close to 2 hrs. But will get softer after that. Does that make sense? Hi there Tonya! Are you wanting to mix it in or place on top? I’m looking for healthy frosting for my cupcakes I’m gonna sell in my town. It needs to make quite stiff cream/frosting, not to allow be runny at room temperature. Could I add a bit tapioca starch for stiffing it? Your opinion is important. Thank you very much. Coconut cream going on my shopping list for this week. I HAVE to try this! I made this today for my husband’s birthday cake, and it was fantastic! For sweetener, I used powdered sugar to taste and a dash of vanilla. I had refrigerated the coconut cream the night before so the icing was thick and creamy. Everyone loved it! I’ve never used coconut cream before, and I’m just wondering how ‘coconut-y’ it tastes. My husband is dairy free, so I think this might be a good substitute for him, but he also doesn’t really like the taste of coconut. Thanks! Hi there! Well, good question. I would say you can try to disguise it. Are you looking for low sugar too? IF not, Then add in maple syrup or powdered sugar. Maple extract or even chocolate extract helps. SOmething stronger than vanilla. Hope that helps! keep me posted. 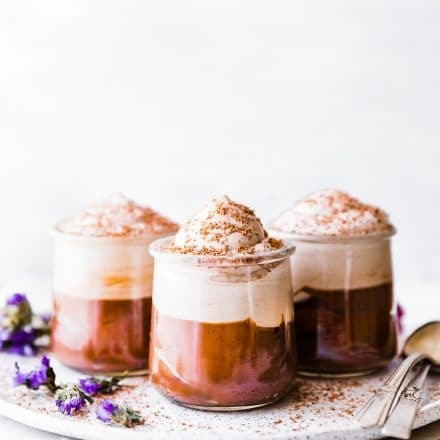 Hi, was going to attempt making a white chocolate whipped cream, but using coconut cream rather than normal thickened cream. Would this work if I added melted white chocolate to the whipped coconut cream? 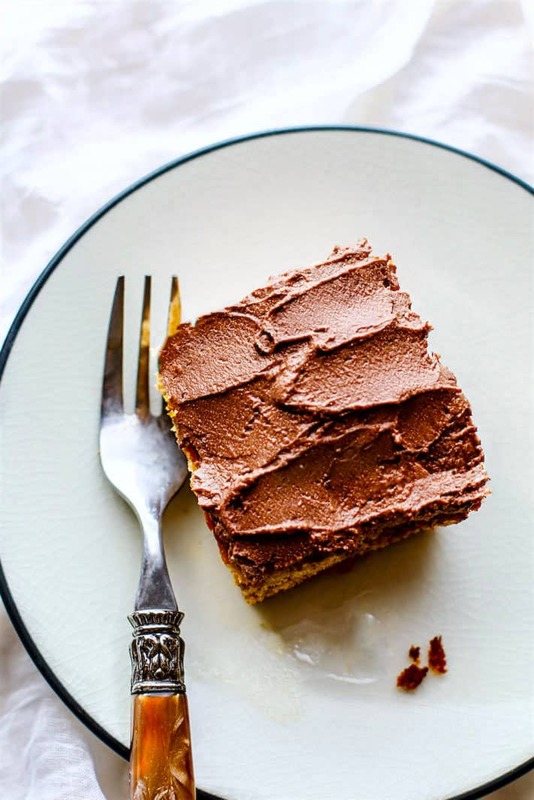 I recently made coconut chocolate gnache frosting and it was the most amazing thing I’ve ever tasted! I was so nervous to heat up the coconut cream after it had chilled over night but it worked and was a hit! Will this work for a smash cake? Have a one year birthday this weekend so considering using this as a substitute for the buttercream frosting. How long will this hold for as they are doing an outdoor shoot but we will probably make the cake and refrigerate it the night before. So will have to travel abit with the frosting on the cake. Would you be able to keep the cake in the fridge until ready to shoot? I think it would be fine outside if it’s not too humid. It lasted around 30 to 40 minutes or so when I took pictures, before it started to slightly melt. Not a lot. That was at 70F inside. Does that help? I’m in a pinch and I have no time to chill the coconut cream! Is that okay? Should I chill it for a few hours anyways? Maybe place it in the freezer for 15-20 minutes. It needs to be solid before you can whip. Does that make sense? I can’t find coconut cream in my area I bought the full fat milk is there something I can do with the recipe to make it as thick as yours? Just made this recipe and it’s way too watery. Recipe should call out to use only the hardened cream on top of can, and leave the water in the can. Oh so sorry, I don’t think my new recipe plugin transfered the notes section for this recipe. Will update now. Thank you. Hi I tryed this and my cream split:-( I used Organic coconut cream . What did I do wrong and how do you mix the cream when its frozen? what brand of coconut cream? Did you chill it overnight in the back of the fridge? I have found some brands are not very good at chilling. Happy to help remedy this. Hi I love the sound of your coconut cream Icing i bake for a local cafe and want to make a Victoria vegan sponge but the butter icing splits so I thought I would try coconut cream does it freeze in a sponge ok ? Love this tasty alternative for vegan guests! Perfect! This is SO fluffy! Totally want to try making this! What a great idea! And delicious too! 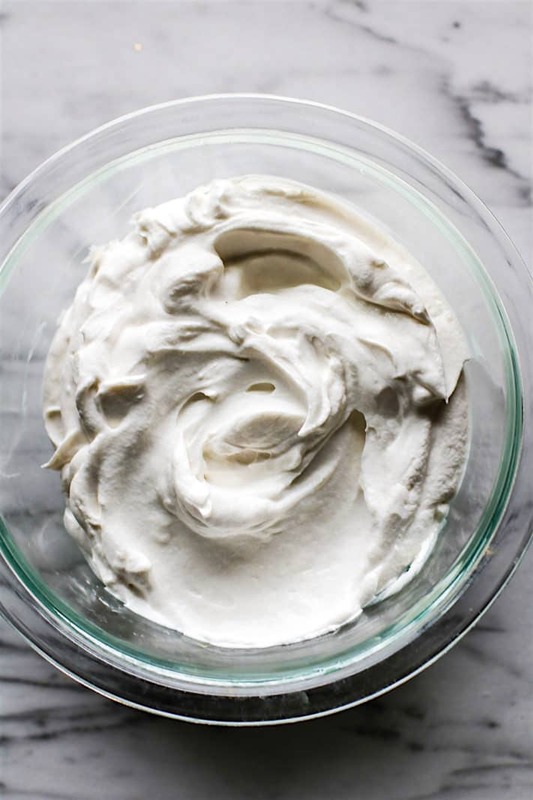 Perfect lighter version of a sinful frosting! Thank you for your recipe. I have tried this cream before and it’s delicious! I was just wondering if it had to go directly over a cake or if it can go over marzipan and still remains firm? YOu mean like a shell coating versus frosting? I’d like to make this for a group of dairy free folks, but it’s going to be a day long party. It’ll be inside. I’m wondering if the frosting will hold up? I also like to do decorative piping. I’m completely fine with putting in more powdered sugar–would that stabilize it? How much would you recommend for the truest consistency to buttercream? Or perhaps even a mix of this and something like earth balance? 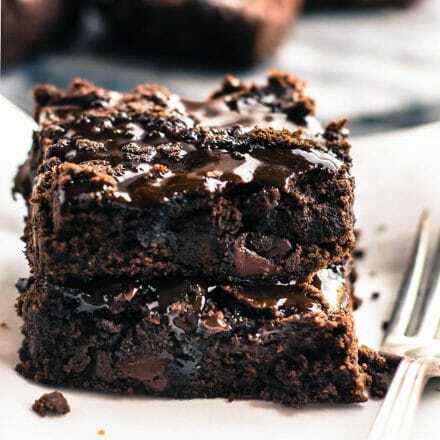 Is there a way you could keep the cake at room temp or in a cooler area? I think it will last just fine for 2-3 hours but not sure all day. I think adding earth balance could totally help! Keep me posted. Thank you! It will be at room temp, but at a public venue so I can’t control the heat. It shouldn’t be too hot there though. Did you have any thoughts on the powdered sugar? Or proportions of powdered sugar and coconut cream? I’ve never made an frosting with coconut cream, so I’m not sure how to control the consistency or what effect powdered sugar would have on it. It sounds so delicious though I wanted to try it! Hi Juliet! So I usually start with adding 1/4 c powdered sugar then 1 tsp vanilla. Whip and taste. Continue to add more depending on type of dessert I’m using it for. If you add vegan butter, add it with the chilled coconut cream first, whip, add sugar, taste, etc. Does that make sense? Keep me posted!